I am a student. 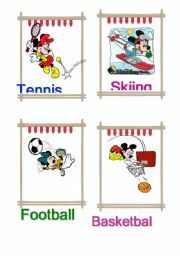 I want do exercise from your worksheets. Thank you. 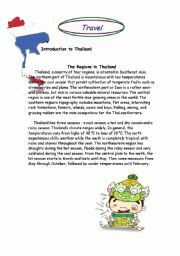 This is a test or worksheet. 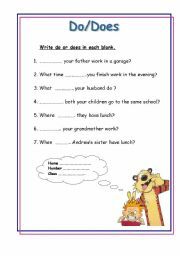 Student choose do or does and write in the blanks. 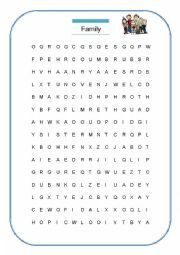 The exercise about likes/ dislikes, do does doesn�t and don�t. Answer the questions about your self. 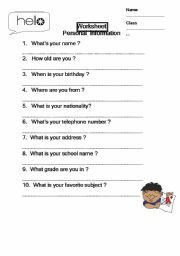 This worksheet is personal identification. 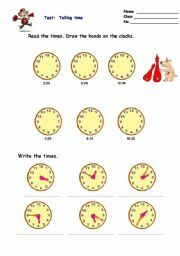 There are three topics ; greeting, ordinal numbers and questions word. 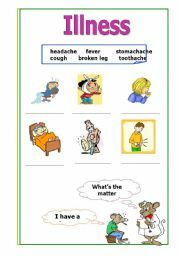 Teaching about vocabulary of illness.